The Lightning Box Games company is founded in 2004 by a team of experienced game developers, gathered around the vision to create an ever growing range of mathematically unique pokie machine features. Their focus is to provide unique entertainment combined with the players’ maximum return on marketing investment. You can play their games in online establishments from all over the world, including UK, Australia, Europe and USA. 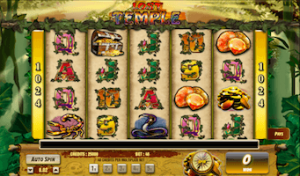 The company offers a range of pokies optimised for both desktop and mobile devices, while some of their titles like Dragon Palace and Tiponi’s Wilds are also playable on the Facebook. With a license issued by the highly regulated USA GLI jurisdictions, Lightning Box targets the audience aimed to enjoy games with a more frequent bonus occurrence. Personally, we like the Lighting Box’s concept of Mini, Minor and Major linked jackpot. All their games have a strong focus on exciting math models, combined with the cutting-edge graphics and sound. Our favourites from the Lightning Box would be their major hits Lost Temple and Serengeti Diamonds. Dragon Palace – Inspired by the most powerful and mythical symbol of the Ancient China – the golden luck-bringing dragon, this is a 5-reel pokie machine with 243 different ways to win each time you spin it. The game features both low paying symbols such as playing cards from 9 to the Ace, and high paying themed icons, derived from the Chinese culture: turtles, lotus flowers, warriors and other. This is also a rewarding pokie machine and you can really benefit from the Pagoda Scatter Symbol that can trigger free spins bonus round. 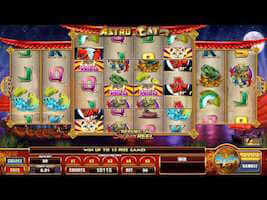 All you need is to collect 3, 4 or 5 scatters and the game will reward you with 8, 12, or 20 free spins, respectively. Another great option is a random Wild-Win Multiplier that can multiply your winnings up to 15x during the free spins bonus round. Lost Temple – One of the most popular titles from the Lightning Box is based around the quest for an ancient temple lost somewhere deep in the wild Amazon jungle, and filled with immeasurable treasures and antiques. 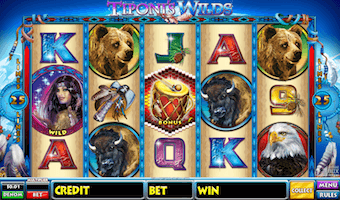 The 5-reel pokie machine with some 1024 ways to win comes packed with rewarding options including wilds, scatters, multipliers, bonus symbols, free spins, and a lucrative standard jackpot. The stunning blonde jungle trekker is the game’s wild icon and can help you form a winning combination. If lucky enough to collect 5 bonus symbols, the bonus game will be activated and you’ll enter the interactive mini game where you will have to click on the steps to move higher up the ladder or collect when the red arrow appears. 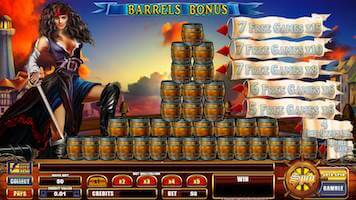 The higher you climb, more free spins and multipliers will stand at your disposal. Ultimately, you can benefit from up to 12 free games and winnings multiplied by 8x while running through the jungle seeking for long-forgotten wealth. 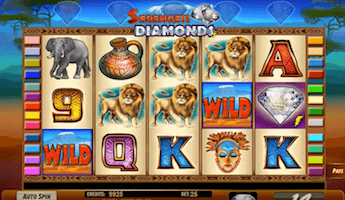 Serengeti Diamonds – A part of the series that also include the “Lost Temple” pokie machine, the Serengeti Diamonds is set in a rather different scenario. The game is inspired by the African savannah and has a bit different layout than its pokie counterpart. This is a 5-reel 3-row pokie machine with 25 paying lines and adjustable coin size, which makes it a good choice for both novice and more experienced players. In order to activate the free spins bonus round, you’ll probably experience a bit of suspense and excitement, because you must first get a diamond on the reel 1 and another on the reel 2. That’s not near the end: wait for 3 re-spins to get another new diamond to appear on one of the remaining reels and so until completing the 5 diamonds necessary to activate the feature. If you look for a simple, easy to play but a rewarding game with fast and intuitive gameplay and nice sound effects, you’ve came to the right place! 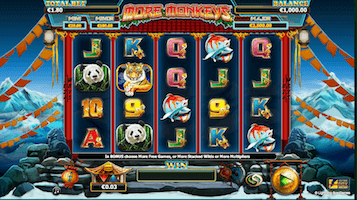 More Monkeys Stellar Jackpots – Another pokie machine with Chinese symbols, More Monkeys Stellar Jackpots is a 5 reel game with 1024 ways to win. This a sequel to the More Monkey pokie machine, this time with more free spins, more wilds and multiplied winnings. You can play this game from between $0.60 and $75 per spin across multiple devices, including desktop, mobile and tablets. The maximum jackpot offered in this Chinese-styled game is 5.000 coins, but you can win additional $2.500 via the Stellar Jackpots feature. Collect 3, 4 or 5 scatters to activate the free spins bonus round and enjoy 7, 10 or 20 free spins, respectively. The game also offers a chance to score a Mini, Minor or Major jackpot prize of $20, $100, or $2.500. 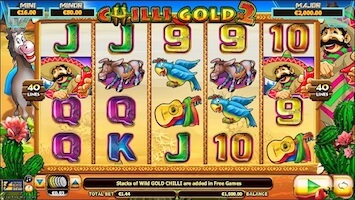 Stellar Jackpots with Chilli Gold x2 – This is the sequel to the game with the same name, only now with a rewarding Stellar Jackpots feature and more chances to score large. The Stellar Jackpots with Chilli Gold x2 is a 5-reel 4-row pokie machine with 1024 ways to win, that features wilds, scatters and a variety of bonus games. 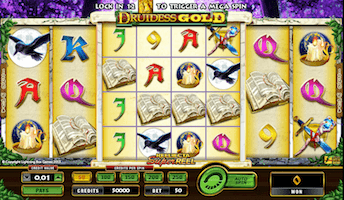 You can really fill your pockets with up to 8 extra free games, 8 Stacked Wilds on Reel 3 and your winnings multiplied by up to 8x. 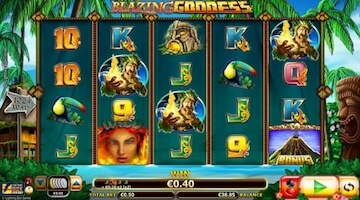 In addition to the online pokies, the Lightning Box also offers a possibility to play their games on a range of different platforms. You can find some of their most popular titles in traditional brick’ n’ mortar casinos, while the mobile players can also enjoy playing while on the go. That’s not all, because the company entered the social gaming arena, making a pack of games available to Facebook users all over the world. The company believes in developing games in partnership with all involved, including their math designers, artists, programmers, audio engineers and customers. They also provide their clients with comprehensive storyboards and demonstrations in order to eliminate any unexpected surprises along the creative process. The Lightning Box has adapted their titles to the widest audience, so you can really enjoy all of their games no matter if you are a younger of an older player – it also doesn’t matter how much experience in pokies you actually have. You can find more information about the company, their vision and basic details about the games by visiting their official site.